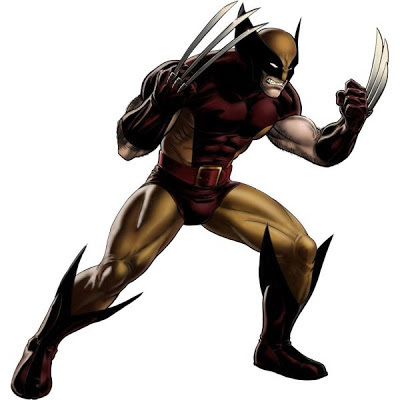 Here are the latest patch notes including buffs to Wolverine and a new Brown-and-Tan Suit in Marvel Avengers Alliance. Wolverine, Havok, and Magneto have received major updates to their skills and abilities. Reads: "Cupid's arrows, straight to the heart." Reads: "'Til death do we part." Reads: "My Arc Reactor glows for you. And you. And that cute blonde over there." Reads: "Was Tony talking about me?" The abilities on Wasp in the notes are already slightly different. She has no "Super AOE" and cannot remove buffs. I think they mixed up her changes with Havok's. With the bufs, Wolverine can now become a semi-decent tank depending on your team composition and iso slotting. Huge debuffs to Emma on top of several rounds of nerfing, but she's still a strong character despite that although virtually useless against Magneto. Havok also got a quick buff but still shouldn't see too much play as he's fairly easy to take out. The new Valentines are worth 500 silver each if you're hard up on Silver. Undocumented changes include Unstable-Isos (for Spec Ops) now available through visiting friends. Also silver rewards from helping out friends now scale with your level and are no longer completely useless. Marvel Avengers Alliance - New Daily PvP Lotto!